Keeping pets, is always a much enjoyable and fun experience and people across the globe are showing great interest in keeping and loving the pets! If you are also having some dog, pets and just can’t stay all the day long with them due to other routine matters and office working, then you should think about it that what can make them relaxed in your absence? 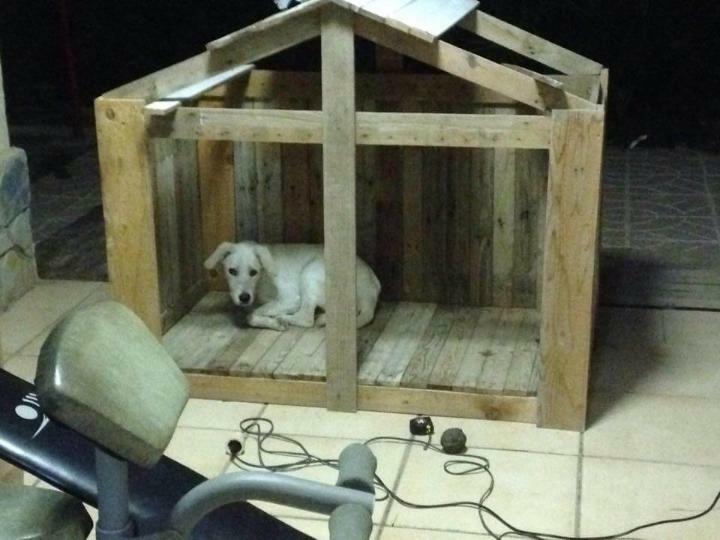 It is nothing but a dog house for sure! We are going to give here the easiest ever plan of a dignified doghouse that also costs you just nothing! 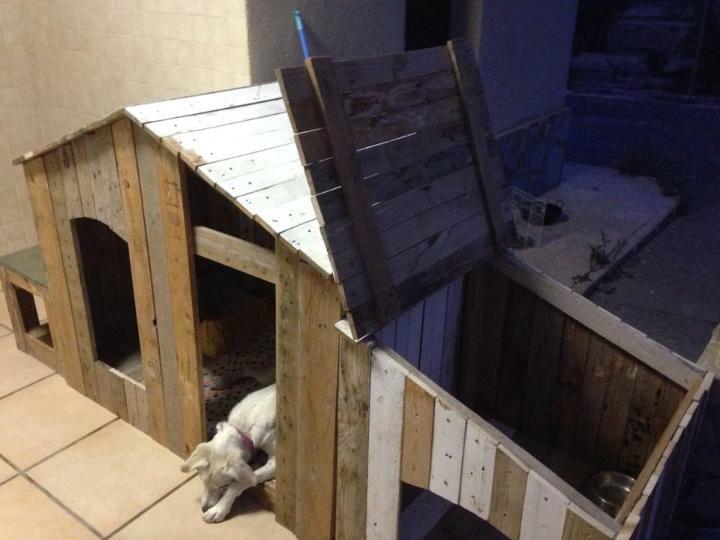 Check here this DIY pallet dog house tutorial and get full guild and instructions to build an instant copy of it! 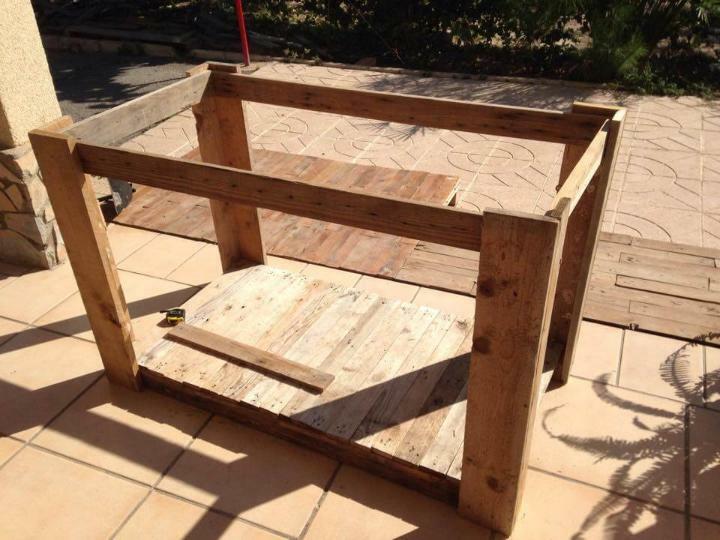 This DIY pallet dog house comes with a chevron roof is capable to house three different breeds of your dog beds, the smaller one residence at very right corner would be lovely one to house your cuter little puppy! 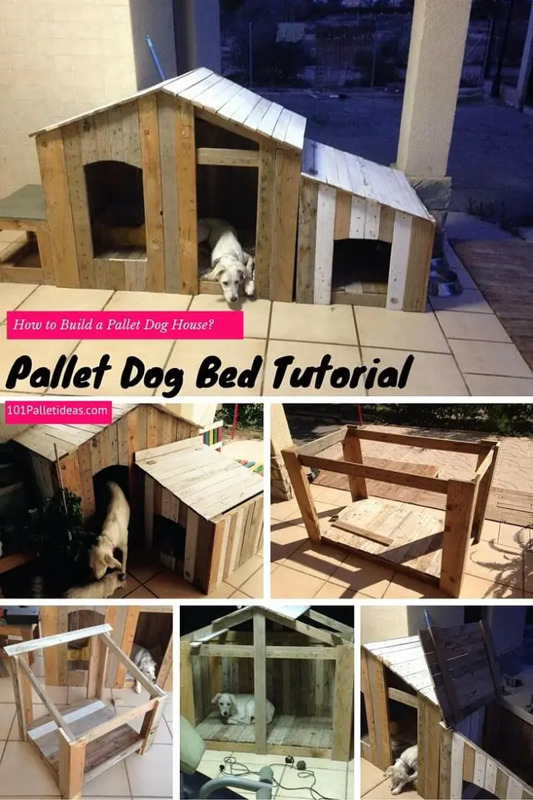 But in this case, this pallet house has only been specified for a one little lovely dog and other portions will come handy to store the dog bowls, food and other conveniences! Disassemble the boards of pallets to have a heap of removed pallet slats! Select some sturdy ones and build the base and entire frame of dog house with your own specifications and configurations! 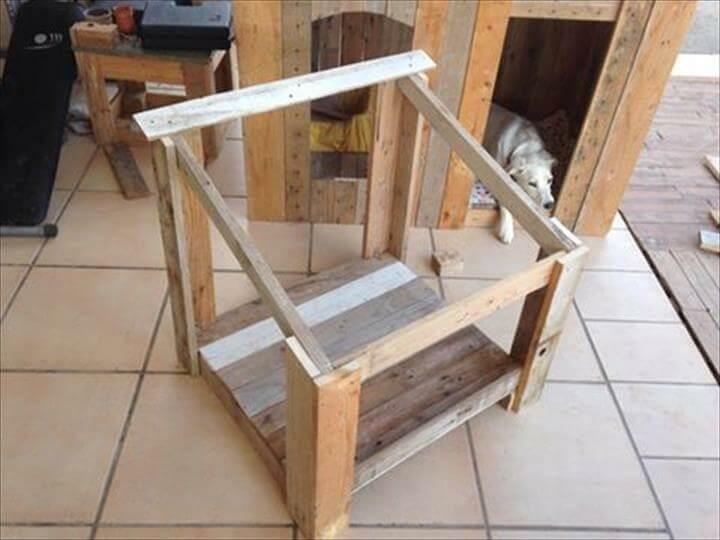 Sand and grit the dog house frame to create an elegant look of wood with amazing shine on the wood grains! Sanding is also a great tip to get a splinter and snags free wooden surfaces! Get the instruction from the preview and build the chevron top with some creative adjustments of pallet planks! Fill and cover completely the front and rears by installing the pallet slats, also create another compartment to store the dog, food, dog rope or chain holding! 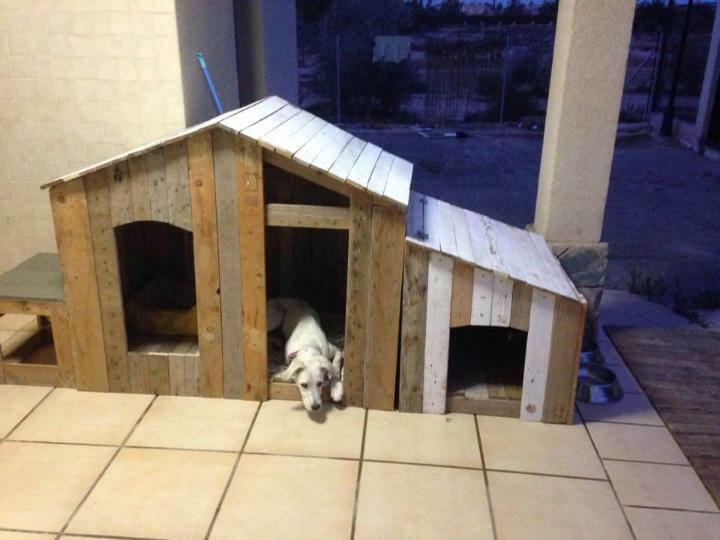 You can just position this dog house anywhere in or out of home! Use the hardware hooks and hinges for some systematic arrangements of door and also to fasten the dog rope! Here is what you’ll achieve at the end! 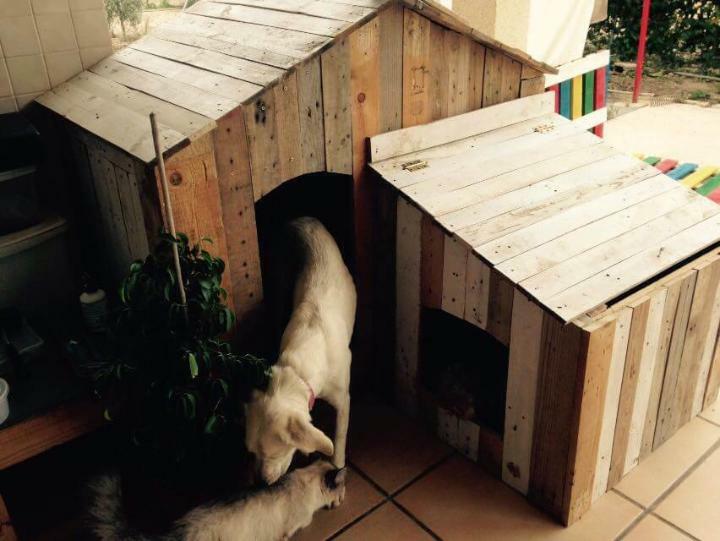 A beautiful, well-edited and functional dog house having zero cost price!